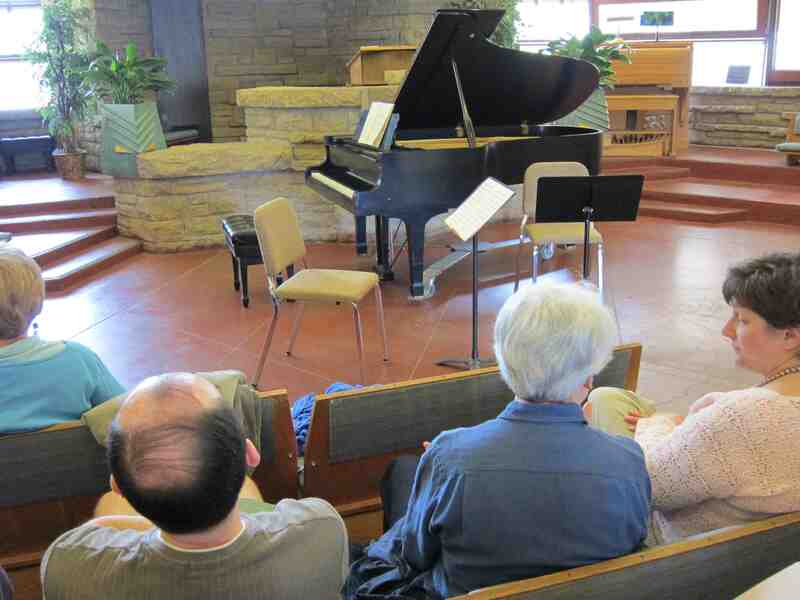 ALERT: This week’s FREE Friday Noon Musicale, from 12:15 to 1 p.m. in the Landmark Auditorium (below) of the First Unitarian Society Meeting House, 900 University Bay Drive, features oboist Scott Ellington and pianist Ted Reinke, in music by Alex (Alec) Wilder, Gordon Jacob and Srul Irving Glick. For information, call 608 233-9774 or visit www.fusmadison.org. 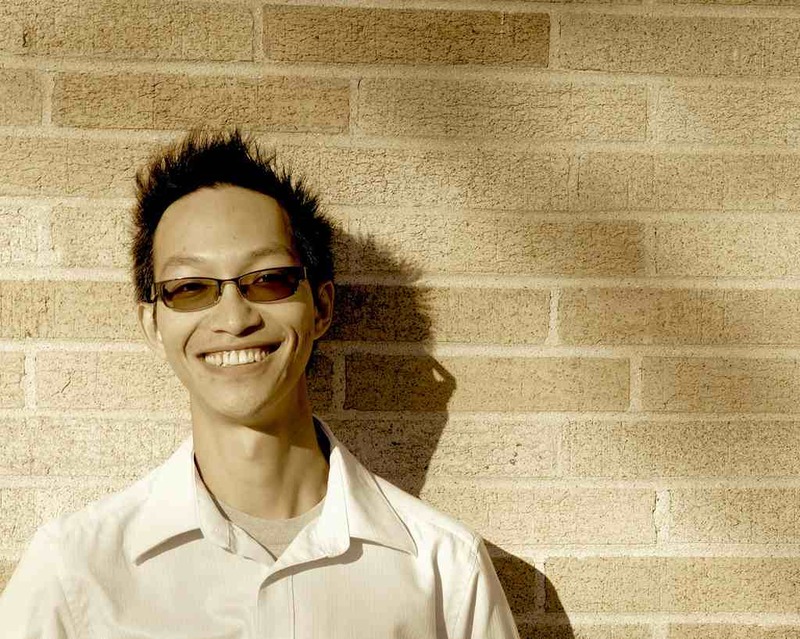 Earlier this week, I posted a a review of the world premiere of UW student Jerry Hui’s chamber opera “Wired For Live” by guest reviewer by John W. Barker, who normally reviews for Isthmus and who is veteran music critic as well as a distinguished retired UW-Madison history professor. 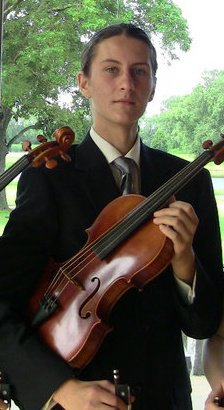 But I also heard from a loyal blog reader and a multi-talented young musician in Madison, Mikko Utevsky. Mikko (below) is a senior at Madison East High School and a part-time music student at the UW-Madison. He also plays the viola in WYSO (Wisconsin Youth Symphony Orchestra) and the UW Symphony Orchestra and conducts the Madison Area Youth Chamber Orchestra (MAYCO). He has done a Q&A for this blog (link is below) and offered comments on other postings. But this is his first major review and I am pleased to offer a forum to such a discerning young musician. It is vital that we in classical music cultivate and encourage young talent. I was very impressed Jerry Hui’s new opera “Wired For Love.” I’ve known Jerry (below) for four or five years, but I’ve never heard much of his music before. It was well worth braving the cold on Friday night, though it is too bad it competed with the Madison Symphony Orchestra concert. To speak of the opera itself, the synopsis helps a great deal with piecing the story together. The narration can become a tad fragmented, but having read the original emails that’s not terribly surprising. The set was spare and showcased the action nicely, I thought, although it did bother me when the singers weren’t quite placed opposite each other on a stage so strikingly symmetrical. 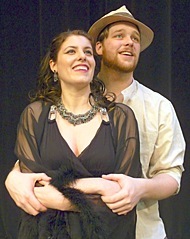 The singing was good, particularly from tenor Daniel O’Dea (below right) as Bako Ndiovu. I’m no judge of vocal technique, but with the exception of a few diction issues in the very beginning, a few consonants missing from the rather demanding high writing for Ethel Wormvarnish (played beautifully by Jennifer Sams, below left) whose arresting voice and expressive physicality perfectly matched the role), and a few little discrepancies between the words and the supertitles (which often lagged behind the singers), I thought the vocalists carried their roles very well and brought the story across with wit and intelligence. Peter Gruett’s countertenor was surprisingly nuanced (Gruett is below on the far right), despite the inherently comic feel of the register and writing. And while the voice of James Held (below, far left) felt a tad thin at one or two moments, I thought it more a character trait than a technical flaw — it made sense in context. The humorous cracks in “I have a cold” were carried off very well, and made it one of my favorites. 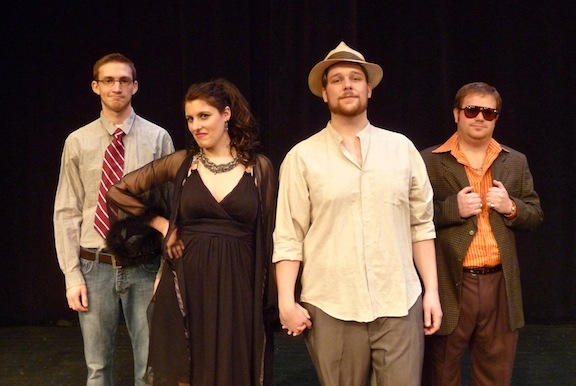 The cast’s unique voices all stood out well in ensemble numbers, so you could catch all the jokes – and there were quite a few (both textual and musical). It’s certainly a funny opera; the painstaking transcription of the scammer’s poor English is hilarious, as are Ethel’s antics. The opening of the opera feels a little awkward (although the overture is seriously fun), but it soon finds its groove. Only once did the transitions feel jarring – moving between the sweet “Please Call Me” and Ethel’s vicious aria “Serpent! Viper!” was a tad awkward, and one short passage in the latter (and a few others in other places) might benefit from a slight enlargement of the string sections. By and large, I liked the soloistic sound, but sometimes the string lines weren’t quite prominent enough (or needed the mass of a section for confidence’s sake; which was generally not a problem regardless). 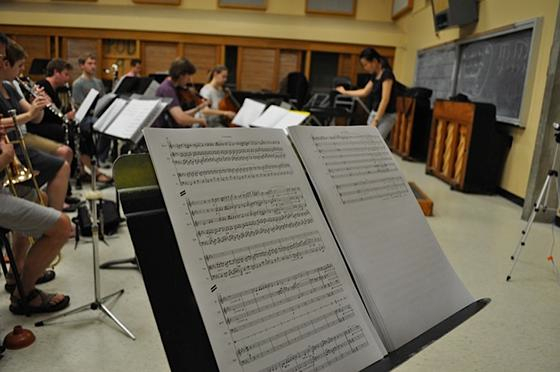 That aside, the orchestra (below) danced and sparkled through Jerry’s vivacious score, lingering sweetly where needed. Ching-Chun Lai did a marvelous job bringing out the colors of the nine-player ensemble. Bako’s aria “Where the rivers meet” was beautifully tender, showcasing both Jerry’s writing for voice and orchestra and O’Dea’s sweet tenor well. The final number (“The Moral Lesson”) was my favorite musical joke of the opera, a Renaissance dance with all the wrong counterpoint. That is a nod to Jerry’s work in early music, certainly, and one that drew a few laughs from the audience, which was curiously subdued until Ethel’s first aria, at which point we finally started applauding. The music earlier certainly deserved more than it got, but we were cold. Perhaps Saturday’s performance will draw a larger crowd once the streets are plowed. Jerry’s work deserves it. oops. Same cast photo, same identification error (as the Barker review). Gruett is on the right, not left. My apologies to the singers and to you and to all readers. And I thought I copied the IDs from the corrected version made from your last reply. Guess I just have to try harder. Will fix it right away. Wow–what an impressive, articulate review of the opera by Mikko Utevsky! I agree completely with your assessment – which is why I posed his long comment as a separate posting. This young man and musician clearly has a very bright future ahead of him. We can look with anticipation to hearing more from him. Alexander Wilder is more commonly known as Alec, not Alex. See Wikipedia. Thanks for the reminder and correction. I used the name as they sent it, but you are right. I will insert it in the text .